Earlier this week, the newspapers and airwaves were full of tributes to John Dingell, who announced this term would be his last. Dingell, who turns 88 this summer, is the longest-serving Congressmen in history, and when I first met him, was one of the physically most powerful men in Congress. Today, he is hard of hearing and frail, but nobody has ever said he wasn’t mentally able to do the job. South Carolina's Strom Thurmond spoke of the brave defenders of the Alamo, and added that they had held off "three thousand Russians." Thurmond’s handlers didn’t let him speak much in public after that. He won reelection, but spent most of his final term in Walter Reed Hospital, except when they brought him to the Senate to vote. Nobody likes to talk about this, but there seems to have been a universal consensus that Dale Kildee, who decided not to run for reelection two years ago, needed to leave. There’s a reason you haven’t seen him interviewed or commenting on issues since he left. He is, in fact, younger that John Dingell, but not all of us age at the same rate. I know a woman in her 60s who no longer knows who her husband is. I know an almost 90-year-old federal judge who can hold his own in any argument, and who still renders complex decisions in intellectual property cases. 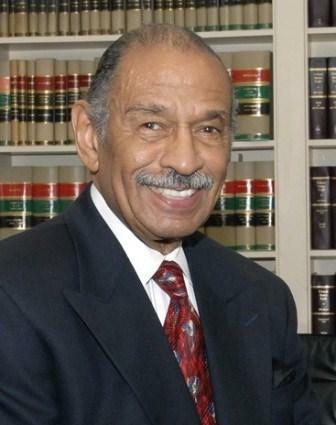 The effects of senility, like heart disease, vary widely, which brings us to the curious case of Detroit Congressman John Conyers. If he runs for reelection and wins, next January he will replace Dingell as the longest serving current member of Congress. Not longest ever. Conyers, who turns 85 in May, would have to be there almost ten more years to surpass Dingell, but he was first elected 50 years ago this November. He has had quite a career, from the days when he joined Martin Luther King Jr. to fight for civil rights in Mississippi. Conyers is the author of the bill establishing the national holiday to commemorate King’s birthday. He helped form the Congressional Black Caucus and was the first black chair of the House Judiciary Committee. He has fought hard for many good causes. ...people deserve to be represented by people who are mentally capable of doing so. Somehow, we in the press need to find a way of having a more open discussion about this. But in recent years, his behavior has sometimes been erratic, to say the least. A week ago, the Rev. Horace Sheffield announced he would run against Conyers for the Democratic nomination this year. Here’s what is remarkable about that: Nobody came forward to deny it except for people on the congressman’s payroll. That doesn’t mean that Sheffield is going to beat him. He is anything but an ideal candidate himself. He has been repeatedly accused of domestic and other violence against women. But people deserve to be represented by people who are mentally capable of doing so. Somehow, we in the press need to find a way of having a more open discussion about this. Speaking at a luncheon today at the Southern Wayne County Regional Chamber of Commerce, Rep. John Dingell announced his retirement today. "I'm not leaving the downriver. I'm not leaving Michigan," Dingell said. Around this time every two years, my wife Deborah and I confer on the question of whether I will seek reelection. My standards are high for this job. I put myself to the test and have always known that when the time came that I felt I could not live up to my own personal standard for a Member of Congress, it would be time to step aside for someone else to represent this district. During a Q&A after his speech Dingell said the single most important vote he cast during his time in Congress was his vote in favor of the Civil Rights Act of 1964. "It was a hard fight, but it solved a problem that was eating at the heart and soul and liver of this country ... [if it hadn't passed] it would have left us with undivided anger and bitterness. We have not solved that problem and there is much to be done." There's a lot of speculation that Dingell's wife Deborah will run for his seat. Dingell said she has not decided yet whether she will run. "If she runs, I will vote for her," he said. After his Q&A, the room sang "For He's a Jolly Good Fellow." U.S. Rep. John Dingell, a Dearborn Democrat who replaced his father in the House some 58 years ago and became one of the most powerful members of Congress ever, will step down after this year, capping a career umatched in its longevity and singular in its influence and sweep. Dingell, 87, told the Free Press that he’d reached the decision to retire at the end of his current term — his 29th full one — rather than run for re-electon because it was time, given a list of achievements that any other member of Congress would envy, and his continued frustration over partisan gridlock. So the question turns to who will run for his seat. And being the longest serving member in Congress, you can expect to see many posts around the web highlighting his career. Here's one we did last year. *This post is being updated. "I am not leaving Congress. I am coming home to Michigan." With those words, Rep. John Dingell, D-Michigan, has announced he is leaving Congress after serving more than 58 years. 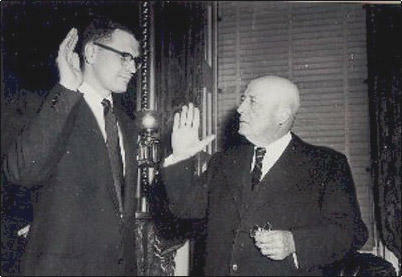 Dingell was first elected in 1955 to the House seat that had been held by his late father. The 87-year-old Dearborn Democrat has gone on to carve out his own piece of American history: No one has ever served longer in Congress. 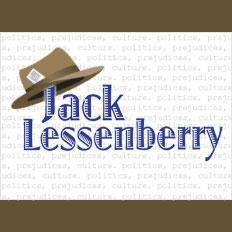 Michigan Radio political commentator Jack Lessenberry joined us to talk about Dingell's legacy. It was a controversial hearing to begin with. Yesterday, a House subcommittee was looking into a bill that would make English the official language of the United States and require that government functions like naturalization ceremonies be conducted in English. 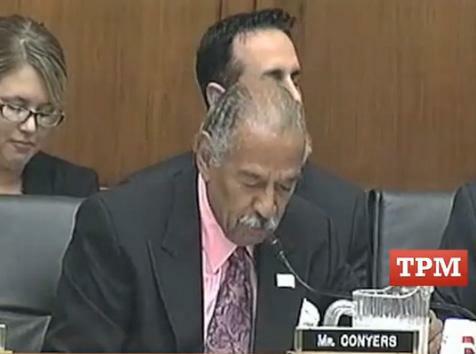 Democratic Rep. John Conyers of Michigan was not a fan, so he decided to deliver his opening statement in Spanish. Gov. Rick Snyder's administration has placed the city of Flint under an Emergency Manager. Meanwhile, financial reviews are underway for the cities of Inkster and Detroit. On December 1, Democratic Congressman John Conyers sent a letter to the Justice Department, requesting an immediate review of Michigan’s emergency manager law, arguing that the law is unconstitutional. Congressman Conyers spoke with Michigan Radio's Jennifer White. When you talk to State Senator Bert Johnson about running for Congress next year, the first thing he’ll tell you is that “this is not about John Conyers,” the man he‘s taking on in the Democratic primary next August. That‘s true, in a sense. The newly configured Thirteenth Congressional District is slightly more than half Detroit; the rest is mainly blue-collar Wayne County suburbs. Conyers, who has been in Congress since nineteen sixty-five, doesn‘t live in the district, not yet, anyway.